What a wonderful day we had at Castleshaw! It did rain the entire day, but, that didn't stop the children or the adults from having a smashing time! 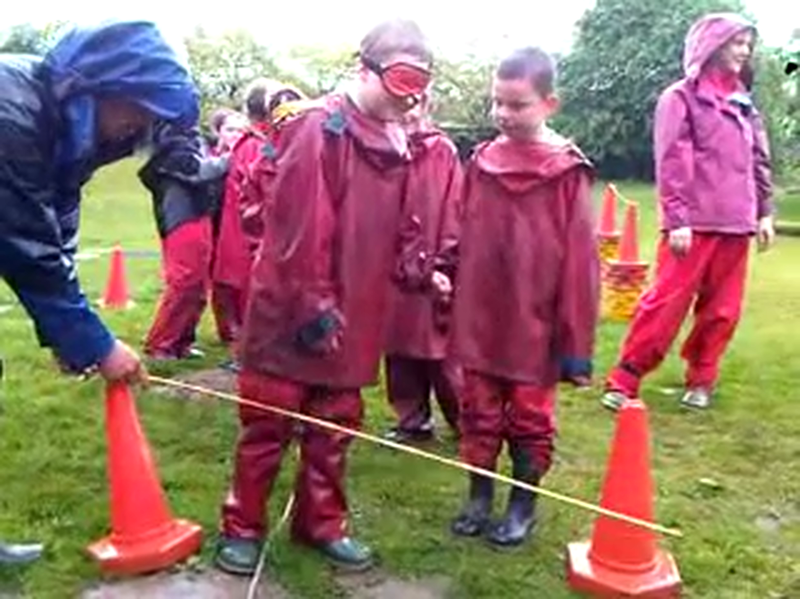 Once we all dressed up like teletubbies in our waterproof clothes we began by problem solving. 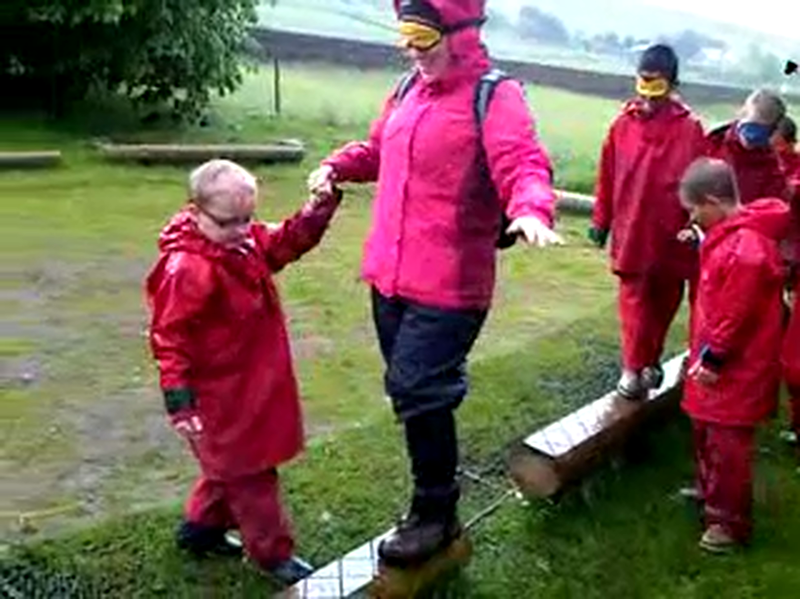 This was great for teamwork skills and building up trust. You will see our blindfolds in the pictures. 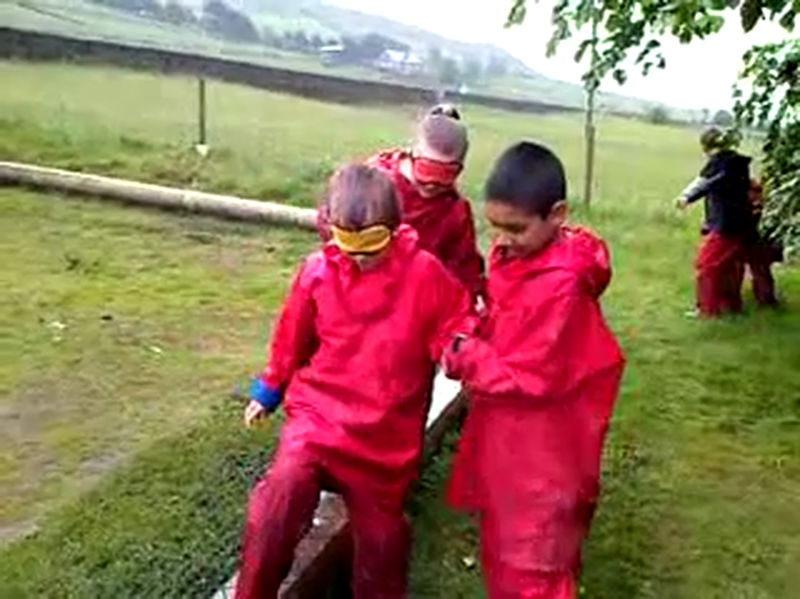 Everyone put a huge effort into leading and helping. Well done-otherwise it would have been faces in the mud!!!ew!! After a scrummy lunch we were split into groups. With just a map the children had to find their way around the local area and back again. What a surprise... they all made it and in record timing. Excellent teamwork and wonderful orienteering skills. After that we had a huge game of tig and home to tell the tales. Thank you to Mrs Hobbis who braved the rain with us and to all adults who came along.